Modern balancing of visible and not with a delicate, sliding door. Pictured in Walnut and Tiger Maple. Unique, solid wood table for a small dining room, breakfast nook or eat in kitchen table. 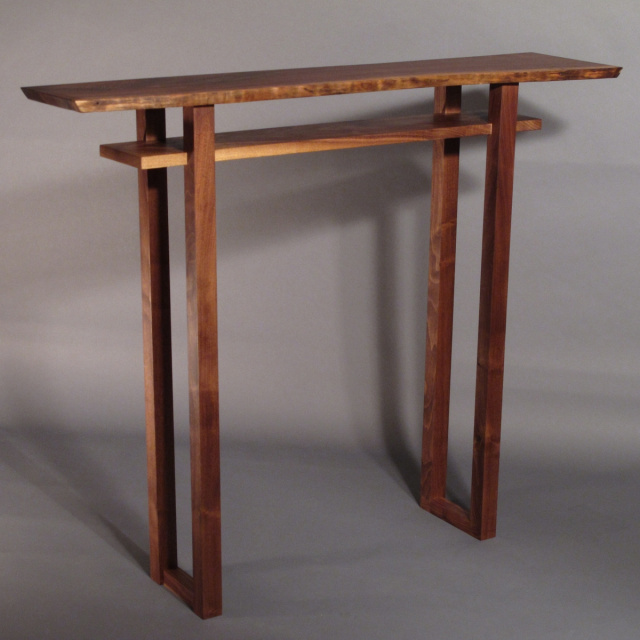 Centered base and framed tabletop. 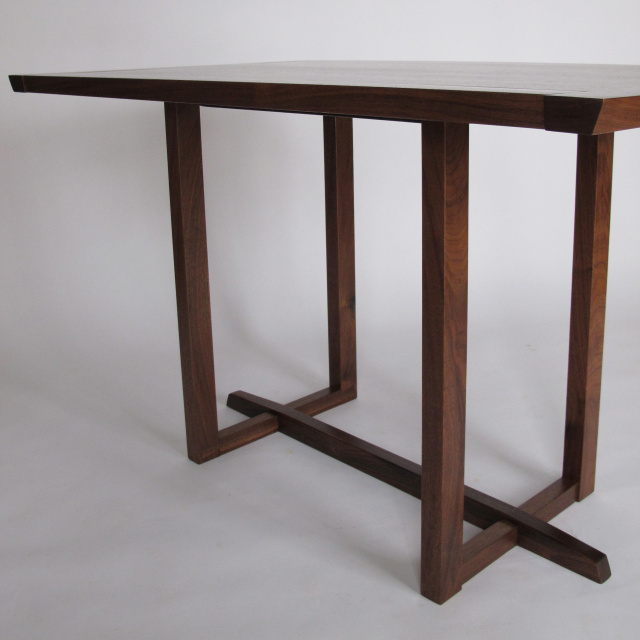 Tall narrow bar table for artful entertaining. 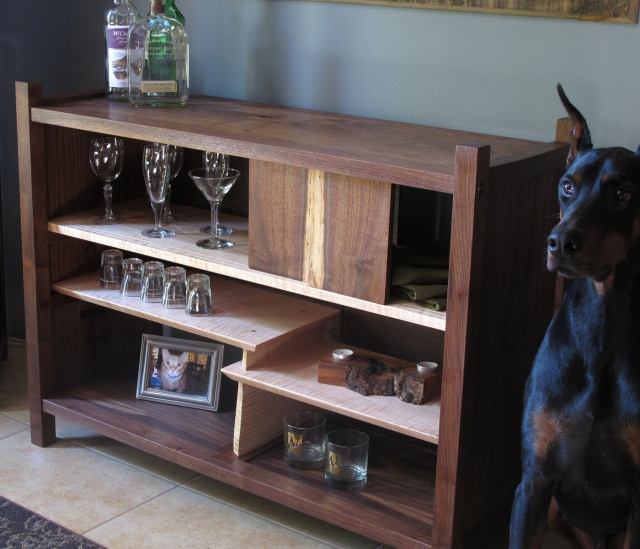 Pictured in Live Edge Walnut. 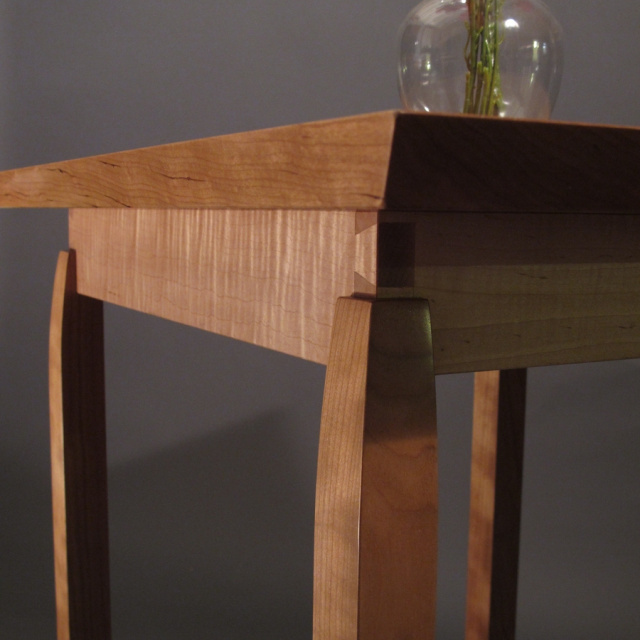 A narrow, minimalist wood table for a dining room sideboard in small spaces. 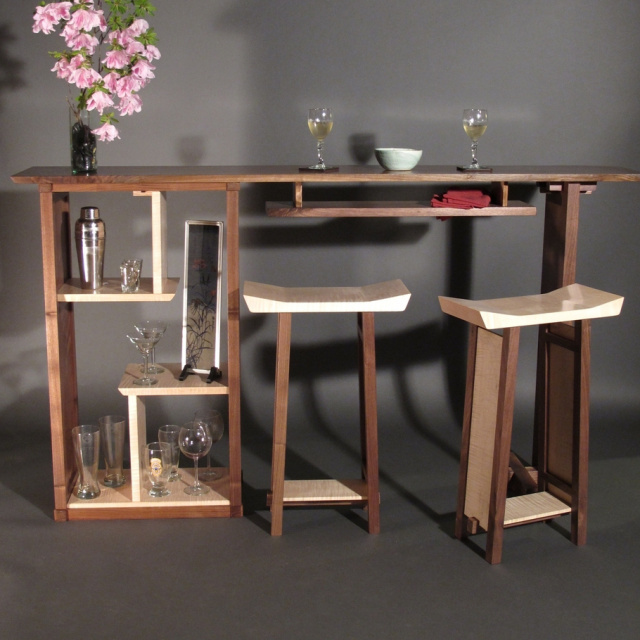 Saddle seat bar stool that pairs perfectly with our Small Bar Table. Pictured in Tiger Maple and Cherry. 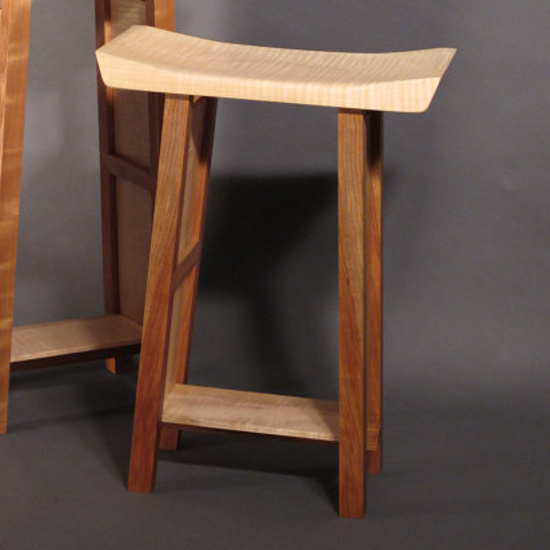 Artistic curves, floating panels and dovetail accents. Pictured here in Tiger Maple and Walnut. 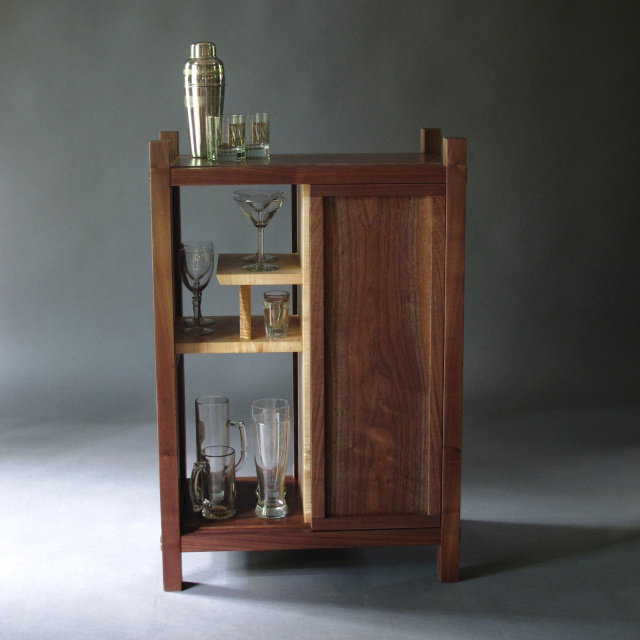 Solid wood bar with bar cabinet. 5 wood combinations available. Pictured in Walnut and Tiger Maple. Delicate sliding doors. Alternating open back. Hand-cut joinery details. Pictured in Walnut and Tiger Maple. 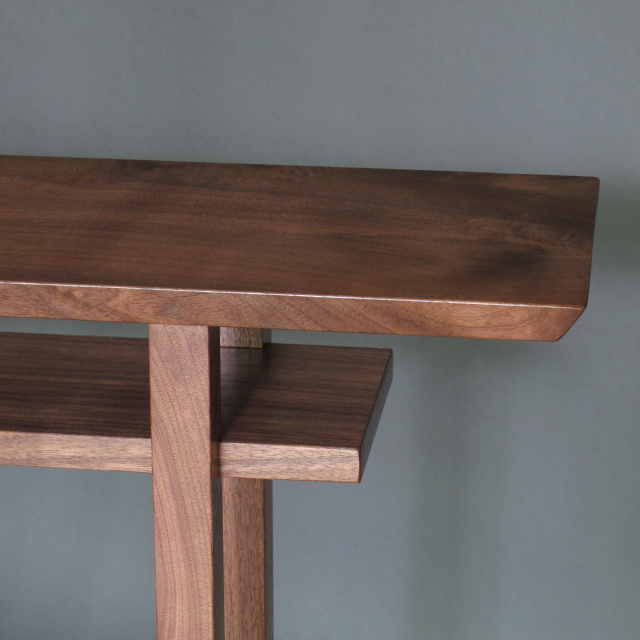 Our solid wood bar furniture and modern dining tables bring art and function together. Our collection of artistic wood tables for entertaining and a variety of storage solutions, add minimalist mid century modern zen style to your interior decor.